Oak & Elm Wood Welsh Dresser / SOLD, But I have others! Oak & Elm Wood Welsh Dresser In Two Parts; The molded Cornice Above Beaded Shelves, The Molded Lower Section Above An Unusual Configuration. 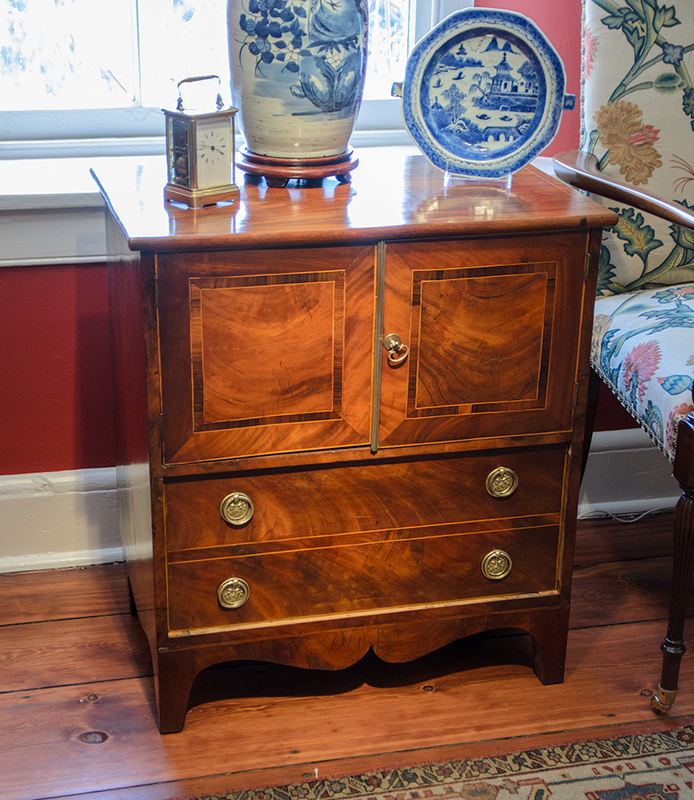 George III Mahogany Chest on Chest In two Parts; Upper With A Molded Cornice & Canted Corner Above 3 Beaded Graduated Drawers, Raised On Ogee Bracket Feet. Queen Anne Maple Highboy The Upper With A Stepped Cornice Above A Central Carved Fan Drawer Flanked By Small Drawers Above Four Graduated & Thumb Drawers. George III Mahogany Inlaid Bedside Commode, Rectangular Top With Line-Inlay, Above A Pair Of Cross-Banded Inlaid Doors, Opening To A Storage, Single Drawer.